This May, three candidates will face tthe electorate in an election to determine who will replace retired Lycoming County judge Richard Gray. To local attorneys who appear in court, the election is of great interest. 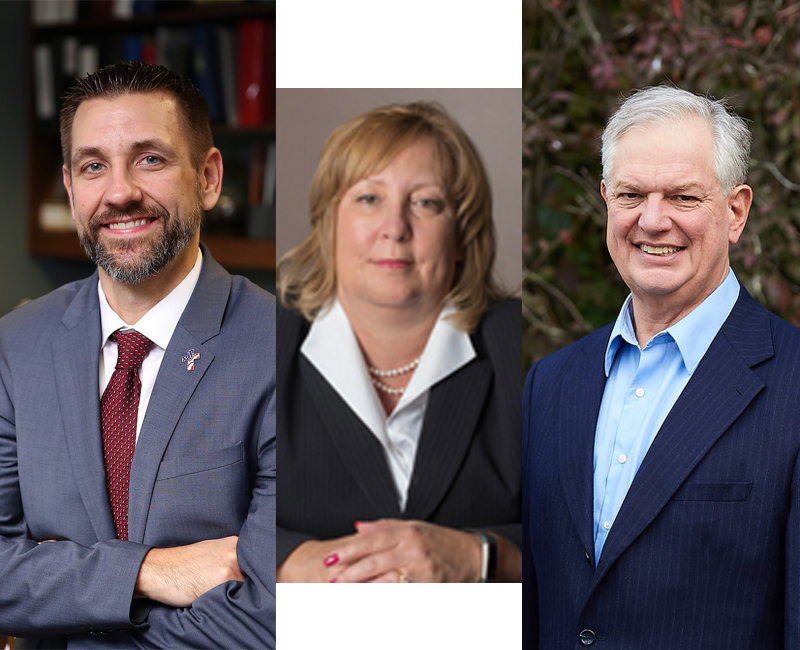 On Wednesday, March 28, 2019, the Charles F. Greevy, Jr. American Inn of Court hosted the judicial candidates for a question and answer presentation before its members. 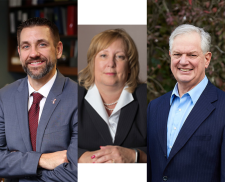 Following a dinner at the 505, attorneys William Carlucci, Mary Kilgus and Ryan Tira were presented with a number of questions as to their qualifications, reasons for seeking judicial office and anticipated changes should they be elected. Questions also focused on what qualities they felt were important for a judge and how they planned to implement their proposed judicial style. Questions also asked about how the candidates planned to utilize law clerks, avoid “black robe syndrome” and how they plan to decide matters without letting their personal biases or opinions on an issue influence their judgment. Each candidate was given three minutes to answer each of the questions.. Candidates were also given 5 minutes to provide the audience with their “why you should vote for me” pitch. The presentation was well attended by the Inn members and was very informative. All candidates were well prepared.